Signature products like age-defying hope in a jar, purity made simple cleanser and the microdelivery peel have consistently been honoured by the beauty industry. But what put philosophy on the radar of perfume-lovers – and, interestingly, quite a few people who used to proclaim that they weren’t perfume-wearers at all – was a fragrance unlike others: philosophy amazing grace, created in response to philosophy founder Cristina Carlino’s life-long sensitivity to wearing fragrance. philosophy have always believed that fragrance should be ‘a genuine expression of you… Fragrance should make you smell good and feel good. philosophy fragrances are created to enhance your genuine self-expression.’ Clean, classic scents that whisper, but never shout, these are designed to be worn for yourself – close to your heart. 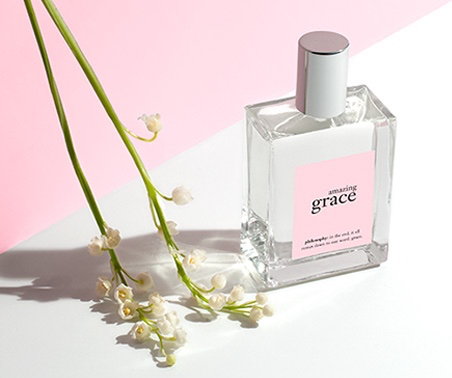 And so to amazing grace, then: a light floral, with a clean musk base, it’s become a global bestseller and award-winner. It’s a ‘Little Black Dress’ of a fragrance – allowing women to go from everyday to prettily dressed-up. It was created ‘to make a woman smell amazingly clean and beautifully feminine.’ The idea was to have people saying, ‘You smell so good’, rather than ‘What’s that perfume you’re wearing…?’ With bright bergamot as a wake-up call for the senses, giving way to soft lily of the valley (muguet) blossoms, and with a skin-like musk quality, amazing grace has gone on to become a much-loved classic, around the world. For philosophy, it was just the start of their fragrant journey. Next up: pure grace, described as a ‘soap and water’ scent – again, utterly clean, a ‘crisp white shirt’ of a fragrance, built around a fresh note of water lily, along with leafy green notes and a frosted musk. ‘Designed to make you feel like you just stepped out of the shower’, is how they put it – and what pure grace-lovers well know is that just a spritz can even deliver that feeling on the hottest, stickiest day in the city. These classics have been joined by live joyously. ‘Joy’, as they put it, ‘makes us sing. It invites us to dance. Simply put, joy is embracing life…’ Sparkling tangerine, pink peony blossoms and warm patchouli were chosen for this so-expressive floral, to capture that passion for life. What’s more, it features a rich blend of fragrance oils, for a longer-lasting scent. 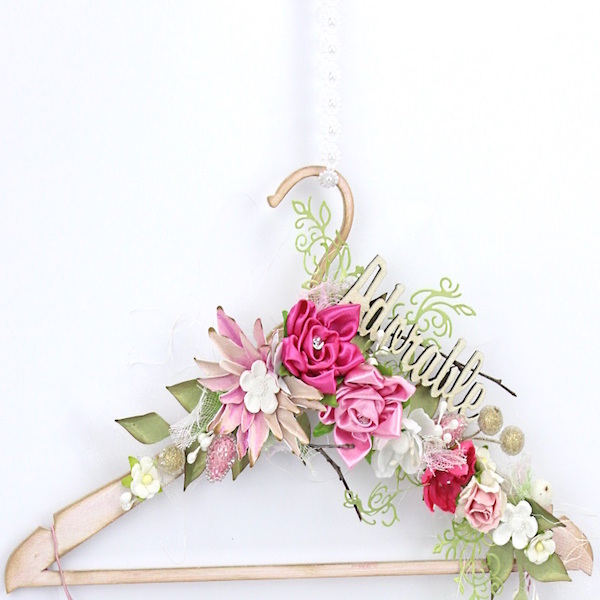 ‘Wear an expression of joy itself and expect to live joyously,’ is philosophy‘s invitation. 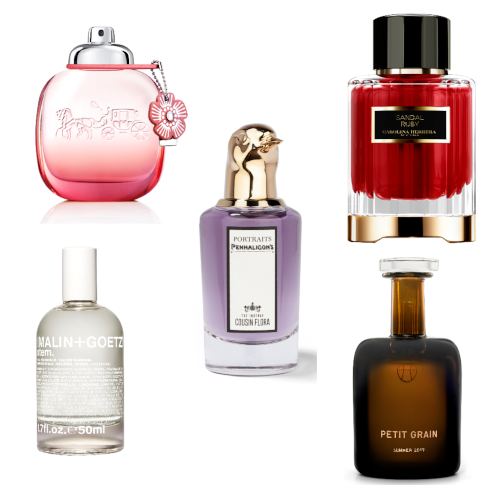 And if you love gourmand fragrances, with their good-enough-to-eat qualities? Treat yourself to fresh cream, which swirls with decadent vanilla, white chocolate, spun sugar, tonka bean and whipped cream. Notes of almond blossom and heliotrope balance those delectable elements, ensuring it never overwhelms, yet draws others to you with its surprisingly subtle sweetness. This latest philosophy offering develops an irresistible ‘skin scent’ quality that’s positively addictive, on the skin. Why else do women everywhere love this brand? Its ‘layerability’. Famous for Christmas gifts that never fail to wow, the philosophy fragrances showcased here can also be layered on the skin with complementary bath and body treats which almost ‘time-release’ the notes, as the day (or night) wears on.